Facebook Posts Used Against Injured Car Crash Victim in Court - Abrams Landau, Ltd.
Do insurance company lawyers look on social media sites like Facebook, Twitter, Instagram, LinkedIn, etc. to find incriminating evidence to use against injured victims? While visiting lawyers in Georgia, attorney Doug Landau of Abrams Landau, Ltd. came across an article about a recent case where the plaintiff’s Facebook posts were introduced at trial to discredit his testimony and undermine his lawyers’ credibility before the court and the jury. The plaintiff was a young man who was rear-ended when he stopped for a stalled vehicle on an Interstate. The defense lawyers admitted negligence (fault), and medical evidence supported the injuries (head trauma and a fractured hip) for which the plaintiff was seeking reimbursement. However, this seemingly strong case seemed to go south when the defense team produced Facebook photos of a chipper plaintiff working out and coated with mud as he competed in a 2017 obstacle course race. There was also a report from EMTs indicating that the 23-year-old plaintiff had been drinking. Regardless, the plaintiff was not cited for “driving under the influence.” He blamed any disorientation at the scene of the crash on the brain injury. 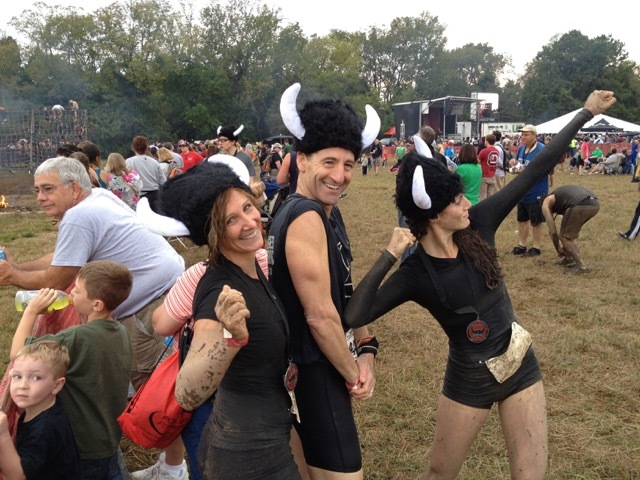 The Landaus have participated in Warrior Dash races and Tough Mudders, which like the Spartan Race, require agility, fitness, endurance & good health. In addition to the race where this trio of Landaus participated outside Richmond, Doug and his son Zach also competed in the Camp Pendleton Marine Corps obstacle race, after which they went through the “human car wash!” Lawyer Landau is not aware of any of his clients with traumatic brain injuries having completed any of these races, though several have done well in triathlons after a bike product failure, taxicab and minivan crashes. Facebook pictures of the plaintiff competing in a race took plaintiff’s counsel by surprise. It was during defense counsel’s cross examination questioning the plaintiff that elicited admissions that he had returned to playing tennis and basketball. The lawyer for the negligence defendant then asked whether he had resumed running. The plaintiff testified that he had not. Defense counsel then went to his box and pulled out the Facebook pictures. The jurors put down their notebooks. Things did not look good for the plaintiff’s team. The photos showed the mud-laden obstacle course known as a “Spartan Race.” The Facebook postings would have packed a bigger punch if the plaintiff claimed more serious physical injuries. For example, if the plaintiff had sustained a back injury, running a Spartan race would have been a fact that could have derailed the whole case. In this situation, however, he sustained a traumatic closed head injury and testified to continuing memory issues. He also sustained a small fracture (non-displaced) to his hip bone that he seemed to recover well from. The photos showed the plaintiff enjoying life as an athletic person pre- and post-injury; this activity was consistent with who he was and how he spent his time. The plaintiff had accrued more than $76,000 in medical bills and more than $6,000 in lost wages. Prior to trial, the highest the plaintiff’s underinsured motorist carrier State Farm would offer was $50,000. The coverage limit was $200,000, and the plaintiff’s counsel offered to settle for $175,000, which was declined. At trial, the defense team argued that the plaintiff should have activated his emergency four-way flashers when he stopped. There was also some dispute at trial as to whether he had hit the car in front of him or was knocked into it. The jury took over three hours to award $430,365, apportioning 3% of the negligence (fault) to the plaintiff, for a total award of $417,454. Post-verdict, jurors told counsel that they had been “worried” by the Facebook postings, and did think he had hit the car in front of him first. That is why under Georgia’s comparative fault law they gave him 3% negligence, so that the trial judge entered judgment for 97% of the verdict. Defense counsel are reviewing their options and have not yet decided whether there will be an appeal or other post-trial litigation. Herndon car crash lawyer Doug Landau notes that under Virginia law, even 1% negligence of the part of the victim would result in a verdict for the defendant, and nothing for the injured plaintiff! 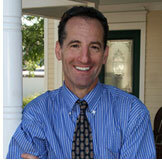 State laws vary and getting answers from an experience trial lawyer is a smart move. The insurance companies always have lawyers on their side. Get help early and get your questions answered. If you or someone you know was injured in a car accident, please give us a call (703-796-9555) or email us at Abrams Landau, Ltd.